XpoLog security log analysis, auditing, search tools, and out-of-the-box apps, gives you clear visibility into user activity and security logs. XpoLog security and compliance apps help organizations ensure compliance with security policies and regulatory standards. We offer comprehensive auditing and reporting structures for your IT environment. All log data generated by devices, apps, systems, and networks can be detected and searched by the XpoLog advanced out-of-the-box forensics and multiple search tools. 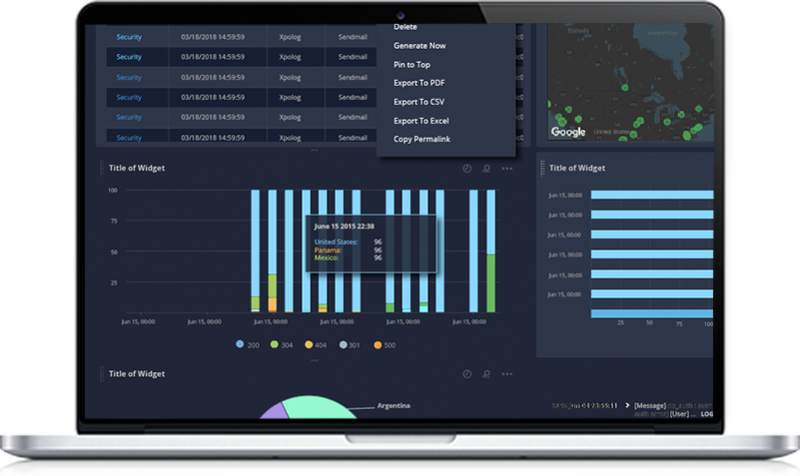 Our In-depth analytics helps monitor and investigate information/data in real-time to isolate attacks, generate security intelligence reports, and more. Analyze Active Directory users/ groups activities/ policy changes. Identify virus & malware in your environment, get alerts. Correlate cross-system events – identify malicious flows. XpoLog security and compliance apps help your organization ensure compliance with security policies and regulatory standards.